An Odd Breath of Pop, Jazz, Prog and Canterbury.. Rain Dances was a great mix bag of fusion, some old proggy roots, and a bit of pop. 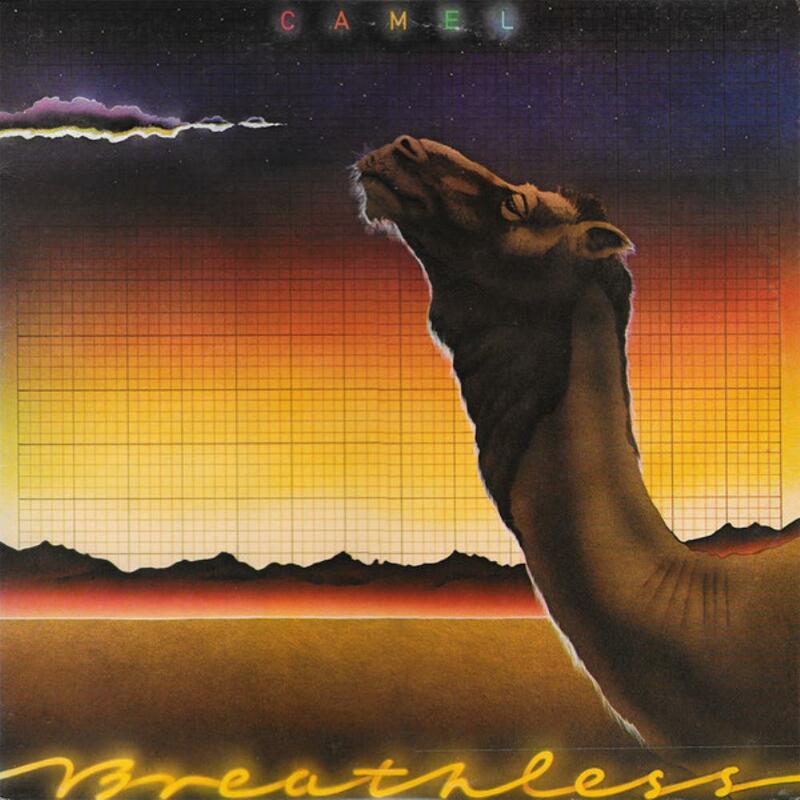 Breathless on the other hand showed Camel focusing more on the pop aspects and Richard's specialised territory, Canterbury, rather than keep on exploring the jazz realm and of course the prog aspects are nearly vanished. As for the Pop aspects Breathless presents, already from the beginning it's heard with the title track, a soft radio-oriented song with pretty much zero content. The next pop-tinged song would be Wing and Prayer, unlike the title track, this one is pretty catchy and contains some interesting vocals and nice instrumentation, though nothing really up to the standards of their classic songs. Then comes Summer Lightning with it's disco-esque rhythm with a pretty decent guitar solo and a simple but nice synth solo, but the result is obviously awkward though not actually bad per se. You Make Me Smile is another pop-oriented song with a simple structure and mediocre composition, but like always there's something worth the listen and that is a splendid very original keyboard solo to be delighted with. As for the Canterbury aspects it's really in only one song and that is Down on the Farm with it's misleading AOR like opening it then transforms completely into a Caravan song without Caravan's neither Camel's brilliance. If you're a die-hard Caravan fan you should listen to this once, since it's like ''the missing Caravan tune'', haha. There's still some prog material on board but it's not alike the music on board on Mirage or The Snow Goose. The first song presenting prog substance is Echoes(not the Floyd one!) with Andy's razing guitar bites all-through, while not a big fan of it it's definitely the best song on Breathless when it comes to musicianship. However when it comes to composition The Sleeper wins easily, it's in the vein of Lunar Sea from Moonmadness just that The Sleeper has a jazzier feel due to Mel Collins' great sax. The only tunes left are Rainbow End and Starlight Ride, while they're not prog songs they pretty much fit the style of Moonmadness and The Snow Goose, that delicate but never heading to pop sound, decent songs. Breathless ends up being a sloppy mix of Canterbury-cliches with some mediocre pop tunes and two great, though very out of place tracks. Definitely less consistent than Rain Dances, however it's not worse than what other Prog bands were doing at that time. 2 stars, a weak record for Camel in inspiration and composition skills, however still enjoyable.